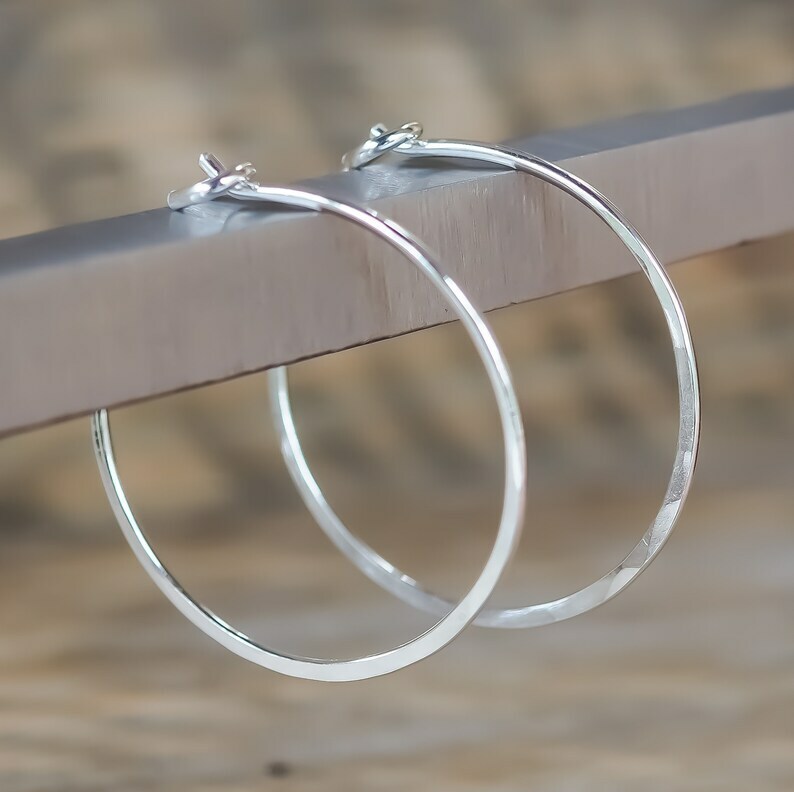 These medium hoop earrings are made from reclaimed and recycled sterling silver. These classic hoops will be your 'go to', everyday, every occasion earrings! They are so light and comfortable you will forget you are wearing them. They have a very fine thickness of just under 1mm or 19 gauge wire, (perfect for the average ear hole size) and are 25mm (1 inch) in diameter. Beautifully made and the packaging is stunning. Thanks so much, can't take them off. These are so elegant. Smaller than I expected but just as lovely.